It is now one year since the EU Pillar of Social Rights was declared in Gothenburg. We take stock in this newsletter. Progress to realise the Pillar has been slow. The European People’s Party (EPP), the centre-right grouping in the European Parliament, is trying to delay adoption of the few proposals that have been made, including the draft directive on Transparent and Predictable Working Conditions and the proposal for a European Labour Authority. We have been disappointed with the Pillar, particularly as the European Commission refused to forward the agreement in the central government administrations social dialogue to the European Council to give nearly 10 million workers information and consultation rights in EU law. 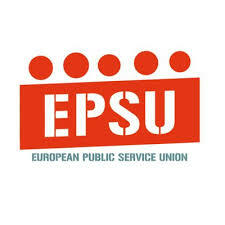 Following the EPSU Executive our global public service trade union community met at the Public Service International (PSI) Executive in Geneva. We looked with union colleagues from across the world at the worrying rise of the extreme right in several countries, how unions are fighting back but also how the situation of refugees and migrants is being used to instil fear and division. The meeting heard harrowing stories of how refugees are being treated but also how trade unions are building support and how workers are showing solidarity. PSI will participate in the intergovernmental conference in Marrakech next month where the Global Compact on Safe, Orderly and Regular Migration will be signed. We condemn the governments that will not sign this important agreement that offers guidance on how countries can ensure a human rights-based approach to migration. The PSI board also adopted the priorities following the Congress in November last year, agreed on research on digitalisation, focused on how trade unions can use digital tools to recruit and organise workers and adopted resolutions on migration and on the situation in Brazil. Members said goodbye to our President Isolde Kunkel-Weber as it was her last PSI Board meeting before our Congress in June 2019. And then we have seen the proposed agreement on UK withdrawal from the EU. With our Irish and UK affiliates and within the ETUC we will analyse it and what it means for workers. One thing is clear: the UK’s Conservative Brexiters do not have, and never had, the interests of workers in mind in their nationalist approach to European and global cooperation. If Brexit goes ahead, UK workers will be cheated out of the additional rights afforded by the directives on Work-Life Balance for Parents and Carers and Transparent and Predictable Working Conditions, as well as the protection of the European Labour Authority. With our affiliated unions we will defend and fight for the interests of public service workers in the wake of Brexit.